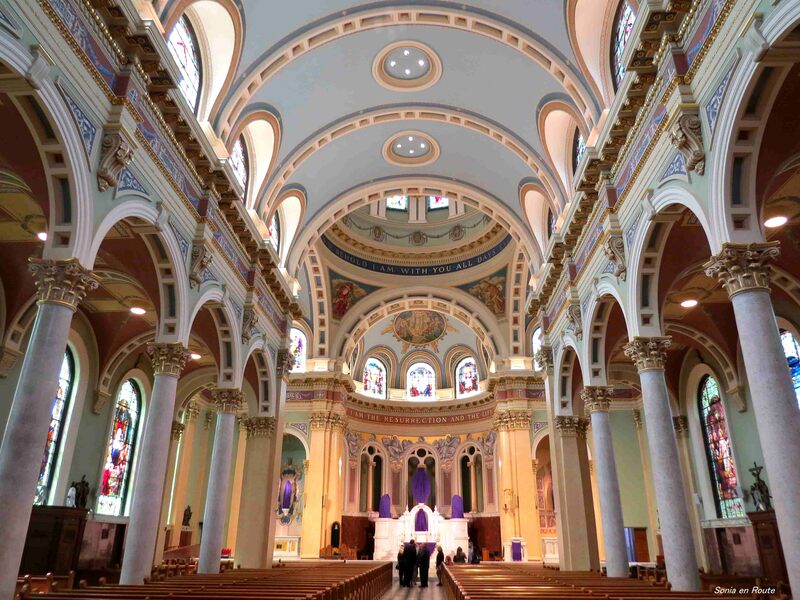 The cathedral of Saint Patrick was built by Irish immigrants in 1826. 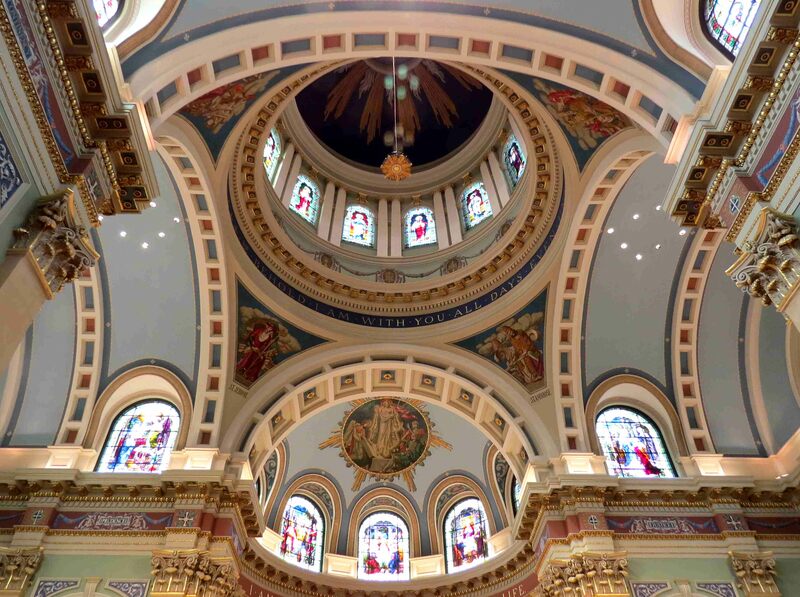 The altar was patterned after Bernini’s altar in the Chapel of the Blessed Sacrament in St. Peter’s Basilica in Rome. 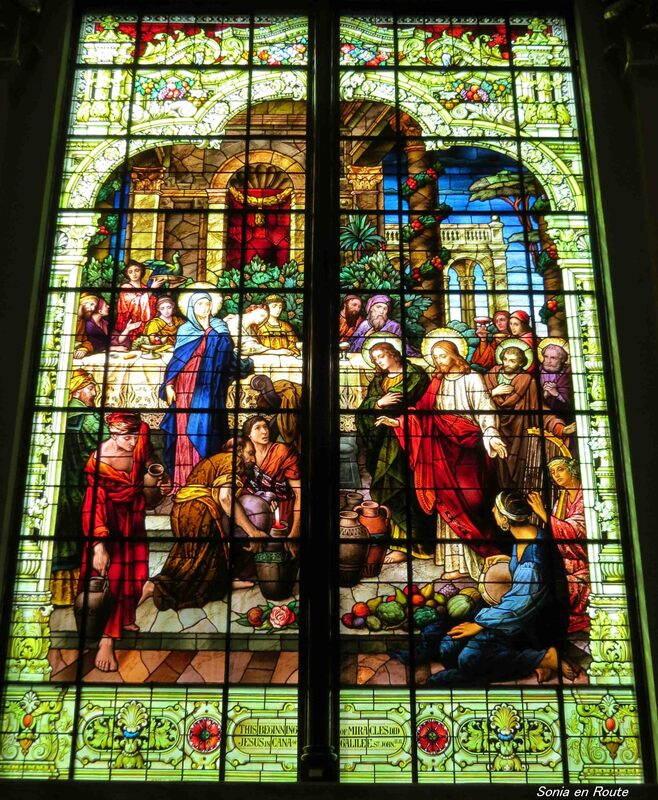 The forty four stained glass windows are imported from Munich, Germany. In my travels around Europe I have seen many churches like this and given the long history of these countries it is natural that they would possess buildings in wide range of architectural styles and times. 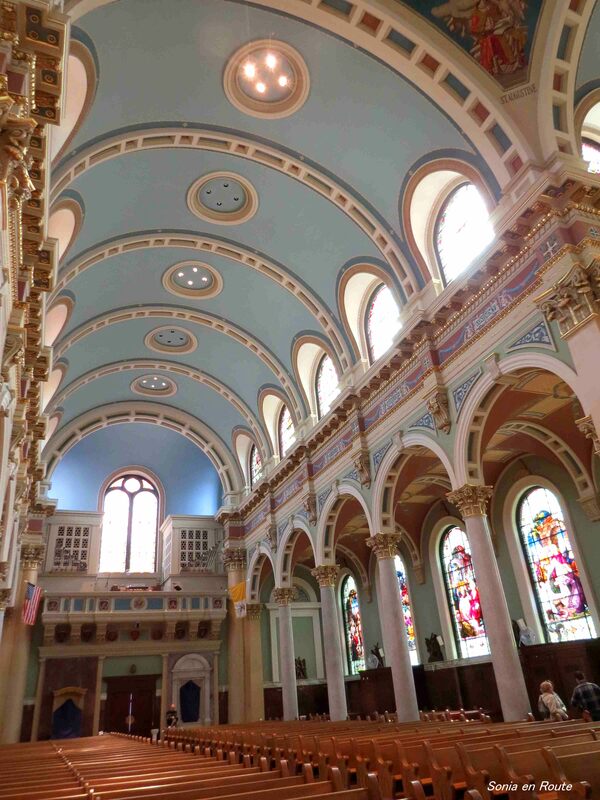 But to find a church in Baroque Revival with Renaissance Revival influence in the heart of Harrisburg is pleasantly surprising. Już chciałam napisać – widząc pierwsze zdjęcie: “Ale to włoskie”. A tu proszę, naprawdę z włoskimi wpływami 😉 Ale te witraże misterne!